Heather and her family hiking in the Colorado mountains. Welcome to the Compositive Primary website! It is so exciting to be a part of a brand-new school, and I am thrilled that you have decided to learn more about this wonderful place. We are busy at work preparing to open our doors in August of 2019 for students ages three through kindergarten. After that, we will add a grade each year to eventually serve students ages three through fifth grade. Our brand-new school building is being designed to emulate the feel of a warm home environment and natural outdoor space consistent with the Compositive philosophy. What is the Compositive philosophy? It all begins with the idea behind the name. First, we believe that all children (all people, really) are made up of a variety of parts, equally important to who they are as a person (the “composite” part of Compositive). Second, our research, centered in positive youth development, tells us that the best way to teach kids is through a strengths-based approach (the “positive” part of Compositive). You put the two words together, and you have the Compositive philosophy. Welcome to the Compositive Primary website! It is so exciting to be a part of a brand-new school, and I am thrilled that you have decided to learn more about this wonderful place. We are busy at work preparing to open our doors in August of 2019 for students ages three through first grade. After that, we will add a grade each year to eventually serve students ages three through fifth grade. Our brand-new school building is being designed to emulate the feel of a warm home environment and natural outdoor space consistent with the Compositive philosophy. We have created a model for education that focuses on developing four key capacities in our students: the capacity to reflect and learn, the capacity to recognize and act, the capacity to care and connect, and the capacity to engage and serve. These capacities are developed over the four domains of cognition, character, health and well-being, and community engagement. In everything that we do, we help students to develop these capacities so that they become active, engaged, and caring citizens of the world. Our mission is to support all students in developing lives of personal excellence. And because this looks different for each student, teachers will work closely with students and their families as they set goals and learning objectives in each of the capacities. Throughout the year, teachers will support students as they make progress and reflect on their learning. We believe that every child enters the classroom with unique strengths and perspectives, and it’s our responsibility to help all students become their best selves. Each day at Compositive Primary is filled with wonder because classes are inquiry-based. This means that students’ questions guide the direction of the learning. As classes work together to explore different themes and big questions, the specific nature of the content studied will shift as students discover new information. This student-centered approach allows children to explore their passions, to collaborate effectively, and to develop creative problem-solving skills. We are so excited to be located on the Fitzsimons Innovation Campus and to be a resource for working families on the Anschutz Campus. We believe strongly in a partnership with families and strive to develop long-terms relationships as we work together to nurture strong, passionate students who are ready to make a difference. I hope you like what you see on our website, and I encourage you to reach out to learn more about the school. I look forward to meeting you! Compositive Primary students will live lives of personal excellence. An engaging and energetic leader, Heather Bushnell Mock is the founding head of school at Compositive Primary. In her 21 years as an educator, she has come to view herself as a “warm demander” and has grown to embrace the social and emotional development of the student as the most effective means to success in academics and life. Heather’s experience covers the full primary through secondary journey, having taught and administered grades K-12. She comes to Compositive Primary from Dawson School in Lafayette, Colo. As associate head of school and K-8 director, she oversaw 270 students and 45 faculty members in both the middle and lower school divisions at Dawson. During her seven-year tenure, the school saw record levels of applicants, student retention and parental engagement. 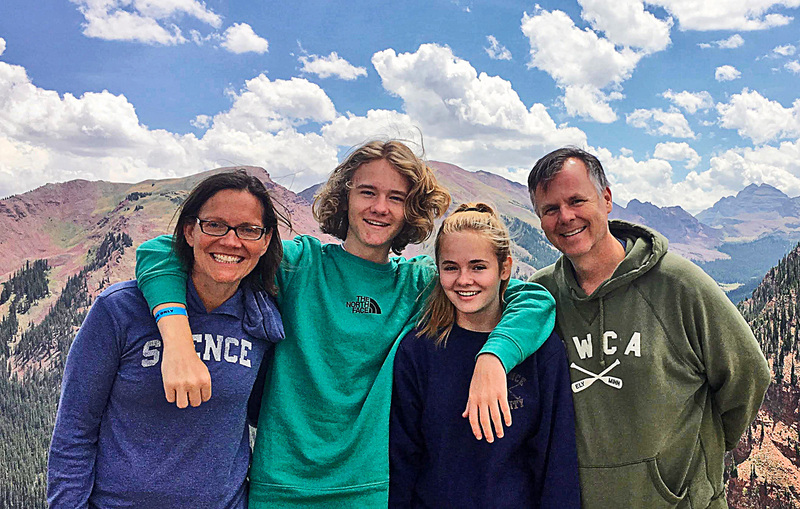 Prior to Dawson, Heather was an upper school class dean at Kent Denver School, shepherding the class of 2011 from their freshman year through successful graduation. She was responsible for everything from nurturing students’ academic achievement and character development, to serving as the main administrative point person for families and handling the logistical imperatives of class scheduling and discipline. Heather has also held teaching and/or administrative positions with progressively increasing responsibilities at The Maple Street School (Manchester, Vt.), The Head-Royce School (Oakland) and Sandia Preparatory School (Albuquerque). She has served on four Association of Colorado Independent Schools (ACIS) reaccreditation teams and received multiple awards for excellence in teaching. Additionally, she has served on the boards of The Joshua School Boulder and Montview Community Preschool & Kindergarten. A graduate of The Spence School in New York, Heather earned a bachelor’s degree in art history from Princeton University and a master’s degree in elementary education from Teachers College at Columbia University. She is also a graduate of the National Association of Independent Schools’ (NAIS) Aspiring Heads Institute. In addition, she attended the Harvard College Admissions Institute (2009) and spent a semester in Patagonia with the National Outdoor Leadership School (1992). Married with two teenage children, Heather is a marathon runner, has performed in community theater productions, and has been a certified Wilderness First Responder. Marcie joined the Compositive Primary team in 2018 as Director of Outreach, focusing on marketing, admissions, and development initiatives. A fast starter and reflective leader, Marcie quickly gains an understanding of situations, needs, and obstacles, and then develops and implements strategic solutions. She is known for bringing together the right people and resources, including project teams, cross-functional staff, and external community partners, to launch new and manage existing programs and organizations. Marcie’s multi-faceted career includes diverse business and community experience, including consulting to businesses in the education, finance, and restaurant industries, corporate banking, and not-for-profit development. As founder of Spring Consulting, Marcie provided client relationship, strategic, and operational support to clients including Graland Country Day School, OnePoint Accounting, and Tava Kitchen. She gained valuable experience managing relationships and making financial recommendations while employed with Geronimo Financial, M&I Bank, and First Chicago Bank. Marcie also spent several years working in non-profit development at the Milwaukee Art Museum, where she co-managed the annual giving program and generated exhibition sponsorships. Current community board work includes the Museum of Contemporary Art Denver (Co-Chair, Nominating Committee) and the Global Livingston Institute (Board Chair). Marcie previously served on the boards of the Kent Denver School (Vice President, Board of Trustees and Chair, Marketing Committee) and Graland Country Day School (Chair, Development Committee). Other volunteer experience includes Young President’s Organization, Teach for America, Children’s Hospital Colorado, Colorado Children’s Campaign, and Webb-Waring Institute. Marcie earned an MBA from the University of Michigan and a bachelor’s degree in economics from Northwestern University. She has two daughters in college and enjoys traveling, the arts, and being active (yoga, cycling and running are current favorites) in her free time. Dr. Hammoor is a playful educator whose practice is animated by inquiry and joy. With a passion for collaboration and arts integration, Clare brings experience working with a diversity of folks to create genuine questions and deep learning. Clare comes from Blue School in Manhattan where he was the Theatre Specialist and Director. During his time at Blue, Clare collaboratively developed an arts integration curriculum with a team of children, teachers, administrators, and arts specialists. While in New York, Clare worked with Brooklyn Acting Lab as its Director of Education while directing theatre professionally. Clare has taught at New York University and University of Denver and given lectures across the US. He has led classes and workshops internationally and his writing appears in articles, chapters, and journal editorships. After moving to Denver, Clare was the Theatre Teacher and Director at South High School. Clare’s passion for joy and justice has also led him to teach university courses in prisons for the past eight years. He is currently an instructor for the DU Prison Arts Initiative where he started a series of play-based arts workshops for children and their incarcerated parents. Clare earned an EdD from NYU where his research focused on the agencies of children and things in play. He also holds a MA in Educational Theatre from NYU and a BA in Theatre and Religious Studies from Indiana University. Clare loves reading, cooking, making new theatre, and antiquing with his partner, Ashley Hamilton. Betsy Callaway Considine is a leader in education reform. She is committed to serving the Colorado community and has served on a variety of boards, including the Catholic Foundation, Children’s Hospital Colorado, Denver Botanic Gardens, Regis Jesuit High School, Ricks Center for Gifted Children at the University of Denver, Seeds of Hope Foundation, and the Women’s Foundation of Colorado. She earned a bachelor’s degree from Duke University and a master’s in business administration from Harvard. Betsy is the founder of Compositive, a national movement focused on “whole child” education for grades K-12. This new education model is based on peer reviewed research, as well as the principle of increasing children’s capacities to reflect and learn, recognize and act, care and connect, and engage and serve. This integrated approach empowers children to lead lives of personal excellence. In conjunction with her work on Compositive, Betsy is launching a unique Pre-K – 5th grade school in 2019. It features a student-driven, inquiry-based educational program. The Compositive school focuses on helping children develop critical thinking skills, flexibility, resilience, internal motivation and a commitment to service. In addition to education innovation, Betsy’s experience covers the worlds of politics, religion, community service, women’s issues, ranching and family. She worked on multiple presidential campaigns, did a stint in the White House and ran her own construction company. Betsy was born and raised in rural Georgia, and her family’s roots go back seven generations in Harris County. She is married to entrepreneur and former Colorado State Senator Terry Considine. The Considines, who have lived in Colorado for 38 years, enjoy spending time at their ranch in Western Colorado with their three adult children and their families. Norma Hafenstein, PhD is the Daniel L. Ritchie Endowed Chair in Gifted Education, Teaching and Learning Sciences Department, Morgridge College of Education, University of Denver. Dr. Hafenstein is lead faculty for gifted education, Full Clinical Professor in the Teaching and Learning Sciences department. She advises masters and doctoral degree students in education of the gifted and teaches graduate courses including Creativity: Theory and Practice, Psychological Aspects of the Gifted, Curriculum for the Gifted, Program Development, Leadership and Communication in Gifted Education, Instructional Strategies for the Gifted, Twice Exceptional Learners, and Research as Problem Identification, Intervention, and Application. Dr. Hafenstein serves as a member of the Colorado Department of Education’s Gifted and Talented Endorsement Standards Committee. She consults with schools across the country providing teacher training, curriculum design, and program development. Dr. Hafenstein established the Institute for the Development of Gifted Education in 1998 through support from the Lynde and Harry Bradley Foundation. In 1984, Dr. Hafenstein founded the Ricks Center for Gifted Children at the University of Denver and was director for 29 years. Dr. Hafenstein was the recipient of the Distinguished Alumni Award from Emporia State University in 2012. She received the Lifetime Achievement Award from the Colorado Association for Gifted and Talented in 2006 and in 2005, was presented with the Founder’s Day Distinguished Service to the University of Denver Award. Currently, Dr. Hafenstein is co-principal investigator for the Right4Rural Project, a Javits federally-funded initiative to identify and serve giftedness in rural Colorado communities. Her research interests include identification of giftedness in underrepresented populations, information-processing styles, social and emotional development, program effectiveness, and adult and generational giftedness. Amy Slothower is serving as the Executive Director of Compositive and oversees all planning and operations for the development of Compositive Primary as well as efforts to extend the Compositive reach. She is a management consultant whose focus is on nonprofit strategic planning. Her past clients include Children’s Hospital Colorado, the Colorado Health Foundation, the Colorado Office of Early Childhood, the Colorado Charter School Institute and numerous charter and independent schools. She was previously the founding executive director of Get Smart Schools, a charter school incubator and leadership development organization. Slothower was also the founder and board president of Denver Venture School, a Denver Public Schools charter high school with an entrepreneurship focus that opened in August 2008. In addition, she co-founded the Denver School of Science and Technology where she spent three years as chief financial officer prior to its 2004 opening. She also served as the vice president of finance and operations for the Colorado Children’s Campaign, an advocacy organization working to improve the lives of all of Colorado’s 1.1 million kids. Slothower received bachelor’s degrees in history and literature from Harvard University. She earned an MBA with an emphasis in entrepreneurship from the J.L. Kellogg Graduate School of Management at Northwestern University. She is a member of the Garden Club of Denver and is an active volunteer with the Denver Botanic Gardens. Past Board of Directors memberships include History Colorado, where she served as vice chair, the Humanities Institute at the University of Denver, and the Webb-Waring Institute. She is the mother of two young children and her personal interests include traveling, hiking, and skiing. Dr. Terese J. Lund is an Assistant Professor of Psychology at Wingate University in Wingate, North Carolina. She is also Chair of the Women’s and Gender Studies Program at Wingate University. Her research interests center on child and adolescent development in diverse socioeconomic contexts, with a specific focus on parent-adolescent relationships, social-emotional problems, and positive youth development among adolescent girls. She teaches undergraduate courses such as Child Psychology, Adolescent Psychology, and the Psychology of Women. Dr. Lund received the Dissertation Fellowship from the Lynch School of Education from Boston College in 2011-2012. At Wingate University, she has received numerous awards, including Registered Student Organization Advisor of the Year (2015), Summer Research Grant (2015, 2016), Student Government Association Unsung Hero Award (2016), Outstanding Academic Advisor Award (2016), Board of Visitors Grant: Experiential Learning Pilot Program (2017), Undergraduate Research Mentor Award (2017), and the Spivey Instructorship Award (2018-2019). Outside of the classroom, Dr. Lund is the co-primary investigator of the empoWer program at Wingate University, which is funded through the Campus Action Project Grant by the American Association of University Women (2018, 2019). Linnea Krizsan began her career over twenty years ago as a museum educator at The Brooklyn Museum in New York. Since then she has taught elementary school, coached teachers and leaders, designed curriculum and worked in a wide variety of educational contexts. Linnea has served in many roles with Denver Public Schools as a founding teacher at The Odyssey School–an Expeditionary Learning charter school, a Teacher Effectiveness Coach, a Gifted and Talented teacher, and an International Baccalaureate Coordinator. She graduated from Cornell University with a bachelor’s degree in Anthropology and received her Masters of Curriculum and Instruction from University of Colorado Denver. When she’s not working to make schools more creative and innovative, she can be found kayaking with her two boys, biking with her husband, or laughing with her book club. We are excited to put together a team of founding teachers who can help bring our mission and vision to life. We are looking to hire teachers who believe wholeheartedly in kids, who are excited to create something, and who love to collaborate. We are currently hiring for the following positions. To learn more, please email us at careers@compositiveprimary.org.